One way that we aim to “make disciples” here at UBC is to give the body of Christ an opportunity and an avenue to use their spiritual gifts by finding a strategic place to serve Jesus. Not just stepping in and filling a gap, but finding an area that makes your heart beat a little faster! 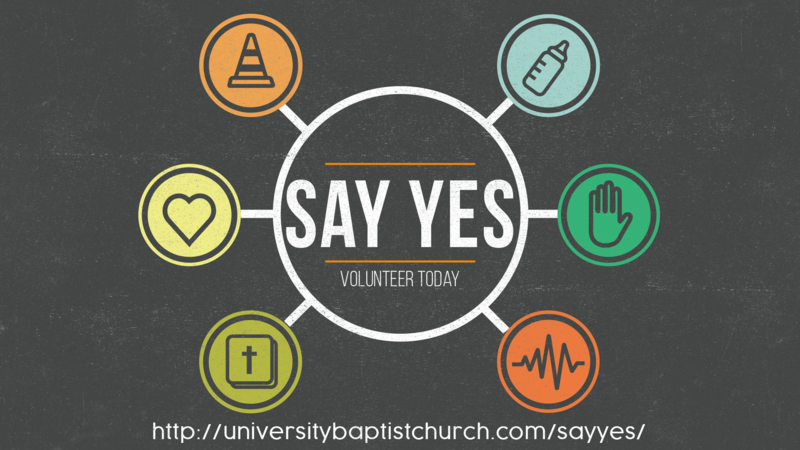 We have put together a booklet of all the service opportunities, not to overwhelm you, but to give you a depiction of the areas where you could serve in and around University Baptist Church. Please take time to look over this booklet and prayerfully consider where God might be asking you to serve. Thank you for making UBC your home and joining our mission of bringing glory to God by making disciples of Jesus who follow Him, are changed by Him, and are committed to His mission.